Radar Results provides a professional valuation service. 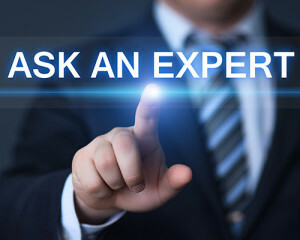 We use Australia’s best valuers who have been involved in the financial services and accounting sectors for many years. As chartered accountants, valuers are totally independent and will provide a valuation report within 10 working days. Whether it’s for a partnership equity buy-out or buy-in, a restructure for capital gains tax, a divorce settlement or an attempt to gain finance, Radar Results can help you. For practices with up to $1M in total annual revenue, the valuation fee is $5,950.00 plus GST, whilst for practices with annual revenue of between $1M and $3M, the fee is $7,950.00 plus GST. Where the valuation is required for a practice with a total annual revenue over $3M or a divorce settlement, our valuers would first like to discuss the fee with the clients before agreeing. Valuations for divorce settlements and larger practices are often more complex in nature. At times, the Radar Results valuation service can be as much as 50% lower than comparable valuations by other industry participants. Click on this link Registered Valuation Service and complete the Questionnaire. Radar also provides a Free Appraisal service to practices wishing to sell. Radar has prepared over 450 appraisals since 2006, providing many divorcees, partner buyouts and genuine sellers with a written opinion. These appraisals have been accurate and gratefully received. When preparing an appraisal, Radar will take into account total revenue, recurring revenue and EBIT. It also looks at the location of the business, the age of its clients, types of platforms used, fee levels, and the number of clients compared to FUM. Should the business be a “risk only” type, then a further set of measurements are used. If you wish to receive a free appraisal, just click on this link Appraisal Questionnaire.